The Horizon Adventure 2 Plus treadmill is full of special features which makes it a suitable treadmill for beginners and other workout enthusiasts. Adventure 2 Plus has big LED which shows 10 program options. VCS Cushioning System with PerfectFlex a workout session comfortable one. ToughTrain 3.0 out of 5 Have average features but you can still loook for some other machine at this same price with additional faetures. *Note: Most of the sites, stores or shopping portals listed above sell Horizon Adventure 2 Plus Treadmill with discounts and other exciting offers. 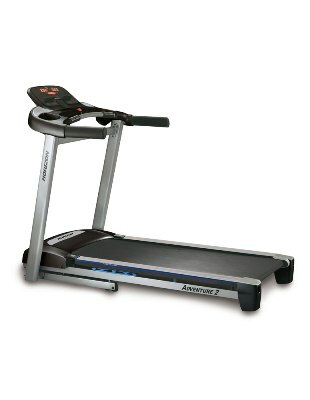 There is a possibility that the some of above websites are not selling Horizon Adventure 2 Plus Treadmill now. Toughtrain.com is not liable for such cases or instances. Also we do not recommend any seller for Horizon Adventure 2 Plus Treadmill and a buyer should buy from where he/she gets best deal with quality of products, service and on time delivery (shipment). I wont say you cannot do it by your own but if you fail to fix it properly, then will be a mess. So go forward only if you are confident enough and also read some of the steps… how to reinstall a treadmill belt or call any technician, that will be much better. excellent treadmill with superb user friendly features, highly impressed with its functionality. If your looking to buy this treadmill, please go ahead, you won’t regret.